Zrce beach is located on the island of Pag in Croatia, and it’s famous spot for partygoers from every part of the world. Its location is only 2 kilometers or 1.25 miles from the town’s center, near Gajac and Novalja. 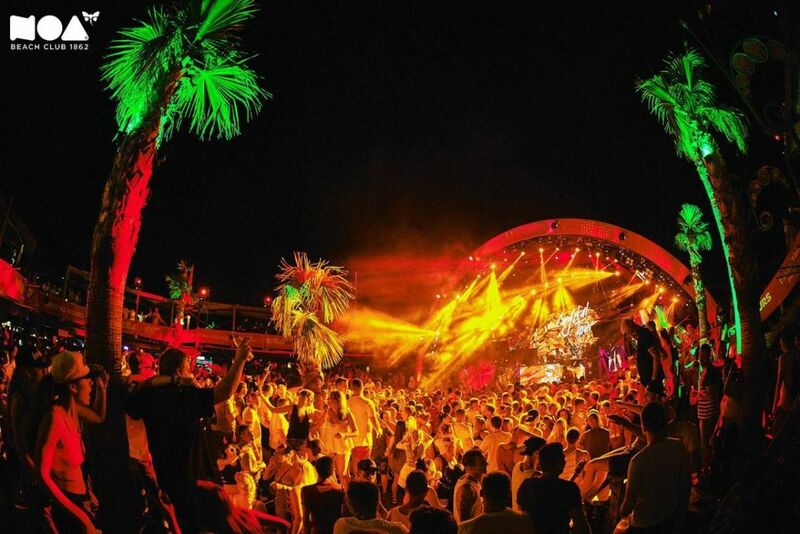 With huge discotheques and beach bars like Noa Beach club, Papaya, Aquarius and Kalypso, which offer their services almost every hour of day and night during the summer season, Zrce became a top partying spot in the entire region. 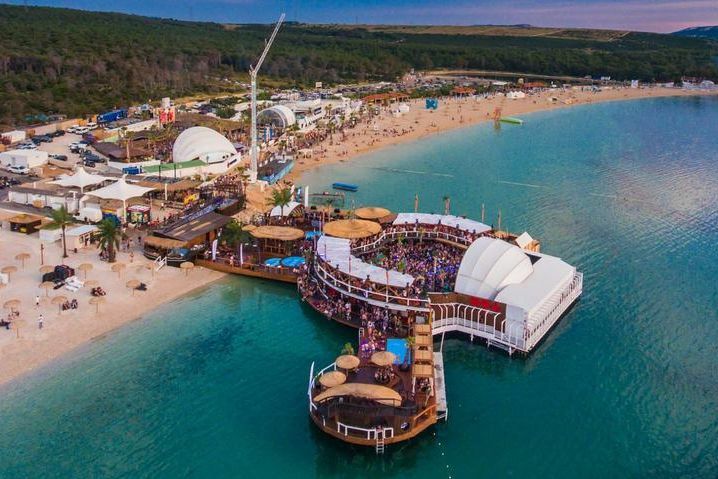 Music festivals like Hideout, Zrce Spring Break Europe, Black sheep, DJ Mag and Sonus bring in world famous DJ-s, like Skrillex, Steve Aoki, Kaskade, TJR, Fedde Le Grand, Blasterjaxx, Axwell, Benny Benassi, Carl Cox, and many others, ensuring that all partygoers have the time of their lives while visiting Zrće. How to get to Zrće? If you’re planning to visit Zrće you have a couple of different options regarding your way of travel. The easiest, fastest and cheapest way to arrive at Zrće is to book a flight to Zadar, Split or Rijeka. Zadar is the closest destination to Novalja, only 1-hour drive from it to Zrće, while Split and Rijeka are further away, 2.5 hour and 2-hour drives away, respectively. When you arrive at one of the airports, the most practical mode of transportation would be the bus or car transfer. If you are not a fan of flying you could always sail on a boat or yacht directly to Pag. 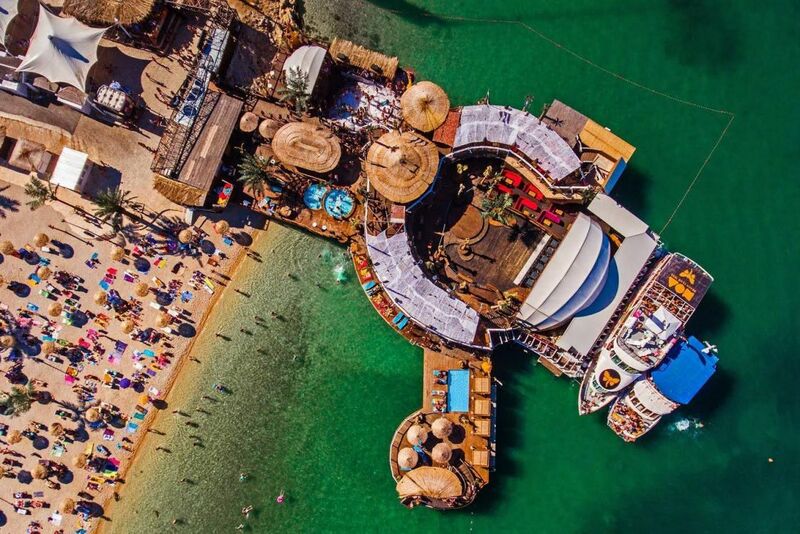 At the world-famous Zrce beach, Noa Beach Club sets itself apart from the other contenders' thanks to its luxurious design and exotic décor. Set upon the surface of the sea, NOA features a few pools, 11 bars and a dance floor that encourages serious partying on those long summer nights. Zrce beach is located in the Croatia, at the northeastern part of the island Pag in the Bay of Zrce, near is town Novalja about 2,5 km. Spend an unforgettable summer holiday with party people, top DJs, and other additional content.